The recent election cycle has caused a great deal of pain and revealed a great deal of pain that was already present before the election cycle began. People all over our society (and in each of our communities) are feeling not heard, not respected, not welcome. The social fabric has been revealed to be thin, frayed, torn. Reweaving is needed. There are many wounds, new and old; healing and reconciliation are needed. People who come to the retreat will be sharing their experiences about all of this, and exploring their ideas for how the reweaving, healing, reconciliation might begin. We pray that the spirit of John XXIII will be present among us: Let dialogue begin by seeking concordances, not differences. A word about financial support for the retreat. The Ardes Shea Memorial Fund makes this retreat possible. Ardes died in May 2016. She had been a regular participant in Philosophy Camp (which is held at Shalom Hill Farm), spending a week each summer from 2003-2015, and for 40 years an active member and supporter of community organizations and events in her home community of Forest City, MN. The Ardes Shea Memorial Fund arose from her wish and passion and dream that: (a) more people would experience conversations in circles; (b) people would plant more trees; (c) people would listen more to children; and (d) homework would be about home. Bring warm clothes. There are trails on acreage around the farm that can be suitable for cross-country skiing and snowshoeing. There is also a sauna on the property. Please let John Wallace know if you need driving directions to Shalom Hill Farm. Cost: We are also asking that participants contribute to financial support for the retreat. We recognize the fact that people have different abilities to pay, and we are committed that the retreat be available to everyone regardless of ability to pay. $50 per person is a little less than half of the cost of the retreat. We are hoping that contributions from participants will add up to an average of $50 per person. You are welcome to pay less than $50, or more. Any excess of contributions over the half-cost of the retreat will be added to the Ardes Shea Memorial Fund and used to provide support for Ardes’s dream. Payment by cash, check, or credit card will be accepted at the retreat. Ardes Memmott was born in the Mormon ranch town of Scipio, Utah in 1922. She grew up working hard on the family ranch outside of town, where she learned to hate chickens. She was a good student who loved to argue. She hated injustice: the ordinary favoritism shown to boys over girls and the petty cruelties inflicted on weaker kids. She dreamed of a real career, went off to college to study science. The war soon interrupted this plan, and Ardes worked in defense industries throughout the war, including one year at the Hanford nuclear site, the setting of her book, It’s Classified. During the war, working in Salt Lake, she met Jim Shea at the Coconut Grove Ballroom. They married on V.J. Day, 1945, and moved closer to Jim’s home, a farm near Enderlin, North Dakota. It was a shock to Ardes to be so exposed after having always been protected by mountains. The couple taught at small, isolated, frequently snowbound schools. They tried farming on one of the Shea family farms, just as the horse was being replaced by the tractor. In 1953, Jim and Ardes and their son Peter moved to a 17-acre farm near Forest City, Minnesota. Jim taught school in nearby towns. Ardes took care of the livestock and raised a big garden, from which they sold produce, mostly potatoes, cucumbers, and sweet corn. Their second child, Pat, was born in 1956. Ardes was an innovative gardener. She tried new ideas in the garden, and developed the first Christmas tree farm in the area. She was also a tireless maker: quilts, rugs, pickles, seed paintings, dollhouses. She remade the farm, building up the soil and shaping a living space sheltered by trees. Ardes cared about her community. She became an unofficial advisor to Father Fred Fink of the Church of St. Gertrude, helping to shape the religious education program and to think through the meaning of the Vatican II renewal. She worked with kids: in Great Books, as a catechism teacher, and as a substitute teacher. She was also active in DFL politics, a member of a hospital oversight board, and one of the founding members of the Forest City Stockade Committee. After Jim retired, she and Jim wrote their life stories as part of the Litchfield Area Adult Writers Group. They stayed close to home, enjoying their grandchildren (Becky, Oliver, Kathryn, Tim, and May), and taking an active interest in the life of the Forest City community – and in the wildlife around the farm. After Jim died in 1997, Ardes remained on the farm, living with enthusiasm and spirit. For 14 years, she was on the teaching staff of a University of Minnesota course, “Lives Worth Living;” she said it kept her convinced that world was in good hands. Despite breathing problems and general frailty, she remained independent and in good health until diagnosed with esophageal cancer in March 2016. 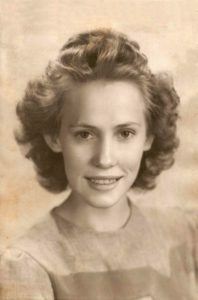 After saying goodbye to family and friends, completing a book, and explaining her hopes for the future, she died, quite suddenly, on May 24, 2016 at age 93. Hopework LLC is the suggested beneficiary for memorials; it carries forward her values of inclusiveness and humane education. Learning circles, story circles, and other group strategies that ensure that everyone has a voice in discussions and in decision-making. Sensible homework in elementary and secondary schools, homework that is “about home,” that is, about problems and possibilities that students face in their everyday life. Planting of trees in ways that promote human happiness and the health of the land and of the community. Children’s independent philosophical thinking and the development of their confidence as thinkers. Donations to the Ardes Shea Memorial Fund may be made by check made out to Hopework LLC and sent to 2650 University Ave W, Apt. 315, Saint Paul, MN 55114 or via PayPal using the donation button below. The next folk school retreat, November 1-3, occurs around All Saints Day, All Souls Day, and the Mexican Day of the Dead — celebrations that help us recall those people who have been important in shaping our lives — and the ways what we do now contributes to lives in the next generations. The next folk school retreat will be built around such thoughts. Its theme is “Legacies” — We want to ask what we have received and what we are passing on — as individuals and as participants in groups and institutions and movements. The questions and activities for the session are still to be decided — and of course, your participation and ideas are welcome. We hope to make time for preserving the memories of those who have been important to us and for imagining the way we wish to be remembered. This retreat will leave time on Saturday afternoon for private reflection and writing and for group projects, which may be arranged spontaneously or planned in advance. People who wish to use this time to meet with friends and coworkers to plan and conspire and evaluate their common projects are encouraged to do so. The pre-planned meals and common program times will be Friday evening and Saturday morning, with remaining meals and activities, including a possible celebratory feast on Saturday evening, planned and created by retreat participants. Peter and Lynn will present a plan for the Friday evening and Saturday morning program times on October 20th at the folk school planning meeting at Lynn’s (separate announcement and directions in a day or two). Contact Lynn (612-331-2263 or engl8813@umn.edu) or Peter (612-521-8616 or shea0017@tc.umn.edu) if you would like to help with pre-retreat planning. RESERVING YOUR ROOM. A total of 18 rooms are available for this retreat. A room is held for you when you inform John Wallace (walla003@tc.umn.edu) or Lynn Englund (engl8813@umn.edu) that you wish to attend. Please register by October 30 so we can plan for the meal Friday evening. ARRIVING AND DEPARTING. We will expect you to arrive by 6 p.m. for dinner on Friday and to stay with us until 12 noon on Sunday unless other arrangements are communicated. COST. Shalom Hill Farm charges $20 per person per night for lodging, single occupancy. Double occupancy rooms are charged at $15 per person per night. Our group will be buying our own food and preparing our own meals. Based on the experience of previous workshops, it will cost $15 per person for food for Friday dinner through Sunday brunch. So, the total cost is $55 per person single occupancy or $45 per person double occupancy. SLIDING FEE. To recognize the fact that different people have different abilities to pay, we offer a self-selected sliding fee ranging from $35 to $75. What you pay is up to you–there is no application or review process. If you choose to pay less than cost ($55), you are accepting a scholarship. If you choose to pay more than cost, you are providing a scholarship for someone else. BANKER. John Wallace will serve as the banker for this retreat. Please make your checks out to him. You may pay in advance or at the retreat. If you want to send me a check, please send it to John at 4536 Dupont Avenue South, Minneapolis, MN 55409. PERSONAL GEAR AND BEDDING. Shalom Hill Farm provides sheets, towels, and blankets. You won’t need to bring your sleeping bag, but do bring personal toiletries including soap and shampoo. TRANSPORTATION. We encourage car pooling and will help to coordinate rides. Please let John or Lynn know if you need a ride or if you can provide rides. John will put out a summary of who is driving and who needs a ride so that good travel matches can be made. Also, please let John know if you would like to caravan with other cars. Allow at least 2.5 hours of travel time from Minneapolis, more if traveling during rush hour. MEALS. Simple meals are prepared on site by retreat participants. Meals are often entirely vegetarian, but if not, a vegetarian option will be available. Please note any special dietary needs when you register. 2. Food requirements: vegetarian, vegan, other food desires or allergies? 3. If you are driving, let us know your estimated departure and arrival times and whether you will have room for others. 4. If you need a ride, indicate the time you can leave and where you will be leaving from on Friday. 5. When we should expect you if you are unable to arrive by 6 pm or need to leave early. Regarding: Upcoming retreat, “Hopework: Digging into Our Hopes and Growing Our Work” at Shalom Hill Farm near Windom, MN. Dates/Time/Cost: 6 pm Friday, Aug. 30 to 12 noon on Sunday, Sept. 1 ($55 per person) with optional stay ’til 12 noon on Labor Day (additional $27). Please RSVP by 8/28. Sliding fee available. We invite you to join us for a weekend Hopework Folk School retreat. Myles Horton’s grandfather, Mordecai Pinkney Horton (1858-1934) said, “You can hitch your wagon to the stars, but you can’t haul corn or hay in it if its wheels aren’t on the ground.” As the guiding quote for this retreat, we like to shorten it to: Hitch your wagon to the stars, but keep its wheels on the ground. The intent of this retreat is to provide participants with a rich environment for digging into our hopes and growing our work. We will be revisiting and renewing our hopes, providing room for them to grow bigger and bolder, rethinking how our hopes align with our day-to-day choices and work, and clarifying the next steps we want to take in our work. We’ve learned that SOME preplanned common activities interwoven with A LOT of activities grown spontaneously from the interests and needs of the group can generate powerful experiences. Experiences from which people come away with a sense of belonging and getting to know the whole group, AND a sense of having gotten real work done, bricks made to add to the lives they are building back home. * a concluding learning circle Sunday morning. Participants will co-create activities for the rest of their time on the spot. We encourage you to bring along with you a project that calls to you, something you are working on. Perhaps a writing project. A planning project. A learning project. Something you would like to share and get feedback on from fresh perspectives. A book you want to lose yourself in, or discuss with someone else. An artist’s book you want to make. The possibilities are endless. Bring along with you the materials and resources that you need. Consider that an important resource might be other people–a friend, a colleague, a collaborator. If so, invite them! Of course bring books, musical instruments, and other materials–whatever you need to dig into your work and play. Some of you will come to the retreat already clustered in small groups of people who know they want to work together. Others will come unattached: some of you will stay unattached because that is the nature of your project, but others will have opportunities to cluster into spontaneous interest groups. A special note. The folk school gatherings are intended to bring new people together and to be open to people who share the values of stronger communities and are working to build them. We hope this invitation will reach some people who have not previously taken part in a gathering sponsored by the folk school group. Please share this invitation with anyone whom you wish to invite. Second special note. Because of the Labor Day weekend, anyone who would like to has the option to stay for another day. The additional cost is $20 for the sleeping room (single occupancy) plus $7 for meals. RESERVING YOUR ROOM. We can accommodate up to 25 persons at this retreat. A room is held for you when you inform John Wallace (walla003[at]umn.edu) or Lynn Englund (engl881[at]umn.edu) that you wish to attend. Please register by August 28 so that food quantities can be purchased in advance. COST. Shalom Hill Farm charges $20 per person per night for lodging, single occupancy. Double occupancy rooms are charged at $15 per person per night. Our group will be buying our own food and preparing our own meals. Based on the experience of previous workshops, it will cost $15 per person for food for the whole Friday-Sunday retreat. So, the total cost is $55 per person single occupancy or $45 per person double occupancy. BANKER. John Wallace will serve as the banker for this retreat. Please make your checks out to him (me). You may pay in advance or at the retreat. If you want to send me a check, please send it to 4536 Dupont Avenue South, Minneapolis, MN 55409. MEALS. Simple foods are prepared on site by retreat participants. Meals are often entirely vegetarian, but if not, a vegetarian option is available. Please note any special dietary needs when you register. 2. Food requirements: vegetarian, vegan, other food desires? or that you need a ride from ______ location. 4. Alternative arrival or departure times if needed. The title of this retreat is the same as that of the May term residential immersion course that will be held at Shalom Hill Farm from May 28 through June 14. The retreat will be a kind of preview of or dress rehearsal for the course. We will be trying out metaphors of life as a walk or a wander or a journey, We will take a real live walk on the prairie and do some writing and reflection about that. Those of you who have participated in previous retreats know what we sometimes use an Arnold Lobel frog and toad story to help us raise issues and questions. I don’t know whether we will decide to use this story, but there is a lovely one, “The Corner,” in which frog goes in search of the corner that, as his father has told him, spring is just around. And hey, isn’t Spring what we are all searching for? We may find it, at Shalom Hill Farm, May 17-19. Facilitators for the retreat are Peter Shea, Nance Longley, Lynn Englund, and John Wallace. A special note. This invitation will reach some people who have not previously taken part in a gathering sponsored by the folk school group. That is great. The folk school gatherings are intended to bring new people together and to be open to people who share the values of wanting stronger communities and working to build them. A second special note. We need volunteer “leadership pairs” for the meals. Heather Cardinale has held out lasagna hope for one of the evening meals, Friday or Saturday. If you would like to pair up with Heather, or would like to team up with someone for the other evening meal, or Saturday lunch, or Sunday breakfast, please email me, and I will facilitate setting up the teams. This will be a writing retreat at which people bring their own writing project, have a lot of private time to work on it, and also a lot of time to share writing and ideas with the community of writers that will form. WE ARE FINDING A GREAT DEAL OF INTEREST IN THIS RETREAT. DUE TO THE LEVEL OF INTEREST, WE ARE CREATING A LIST OF THOSE INTERESTED IN COMING. PLEASE LET US KNOW IF YOU WOULD LIKE TO BE ADDED TO THE LIST. Just before the start of Fall Semester at the U of MN. Please let me know if you have questions. And also, let me know that you are coming to the May 17-19 retreat. Hopework LLC has its roots and inspiration in the tradition of the Danish Folk High Schools. A brief introduction to the Danish folk high school vision and history may be found at Denmark’s Folk High Schools site. You might also enjoy reading a paper on the Norwegian Folk High Schools by Phil Rooney, Folk High Schools: The Gap Year of a Lifetime. September 11 and its aftermath seem like a call: Wake up! Get serious! Change your life! I am writing to invite you to a retreat at Shalom Hill Farm, January 18-20. We will share the meanings we are making of September 11 and its aftermath, and explore actions and changes in our lives that we might make to respond. Information about logistics and about registering for the retreat can be found on the web at www.hopework.org. At the folk school evening on November 18 several Somali students from Roosevelt High School shared what September 11 has meant to them and their families. We hope that some of these students will participate in the January retreat.The facilitators of the retreat are Piyali Nath Dalal, Nick Longo, Ilene Alexander, Monica Janzen, and Peter Shea (and possibly also Aleida Benitez, Gunnar Liden, Emily Farell). To give an idea of what the retreat will be like, let me share some of the themes the facilitators have identified-all of these came up in the November 18 meeting–are working to shape into a weekend of conversations and activities. What fears, and also what hopes for the future, have been called forth by what has happened? How can we ally ourselves with local communities, Muslim and other, which now have reason to doubt they will receive welcome and equal respect in this country? How can we create a space to hear a range of responses to September, from profound grief to determination to take particular actions? To what extent do we need new information to respond intelligently and well (e.g., information about United States actions and policies, or about the Muslim world and its history), and to what extent is what we need NOT information, but something else? And what might that something else be? What new conflicts and tensions are we finding in our own lives and relationships? And what new pressures to be silent, to not express our real views, to hide our truth and not to hear others when they express their truth? How can we create spaces to counteract these pressures and heal these conflicts? What does patriotism mean? What things about this country are we proud of? What things about this country are we ashamed of? To register send John Wallace an email (walla003@umn.ed) with your name, whether you have any special food requirements, whether you need a ride or can drive and if you have room to take others, who we should contact in case of an emergency, when you expect to arrive and depart, and the amount you will pay. Three. Bring something that is not just words or not words at all–music, painting, sculpture, textile, pottery–that keeps you going or that enlivens you. Spend some time writing poetry of our own-with good exercises to dissolve our blocks and free up our creativity for this–and sharing it. Collaborative poetry (something like the quilt made of individual’s squares that we did at the last retreat? ).